As early as the Qin and Han Dynasties, Chinese scholars regarded the viewing stone as a form of a cultural level and ideology. Since ancient times, there has been a saying that "Without stone without elegant, any place cannot miss the stones' embellishment." Viewing stone is a work of art created by nature. Every piece a natural wonder that has a grand view, and magic of the world. Viewing stones are naturally formed, untreated, and permanent. The world does not have exactly the same viewing stone, so for thousands of years, it has been given deep connotation by the literati class, and more spiritual sustenance. Viewing stone represents the inner thought and spirit of Chinese scholars. It is a comprehensive reflection of traditional aesthetics, morality, culture, and art. The concept of "Viewing stone" appeared in the contemporary era. 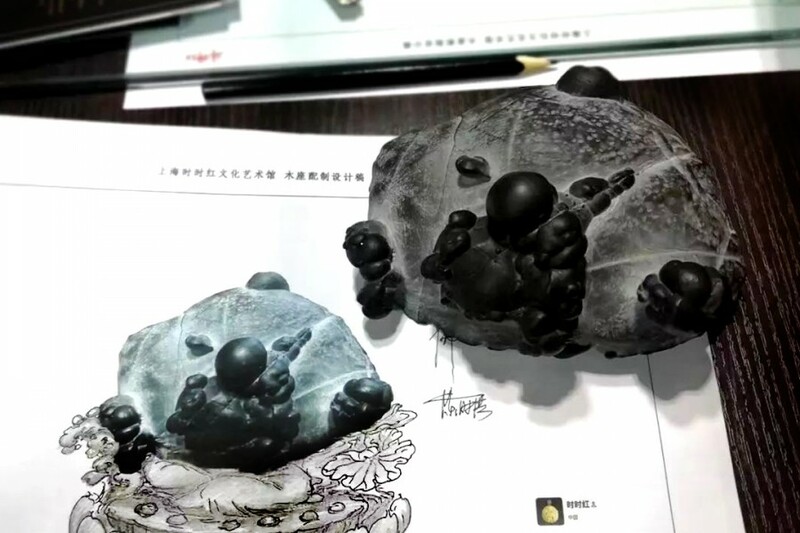 In July 1990, the "First National Seminar for Viewing Stones" jointly organized by the Ministry of Geology and Mineral Resources of China and the National Tourism Administration was officially confirmed, and the Qishi, Shuishi, Gongshi, Yashi, Wenshi and so on, are unified as the "viewing stone". At the end of August 2005, the China Viewing Stone Association was established, and the National Standard for Viewing Stone Evaluation was implemented. 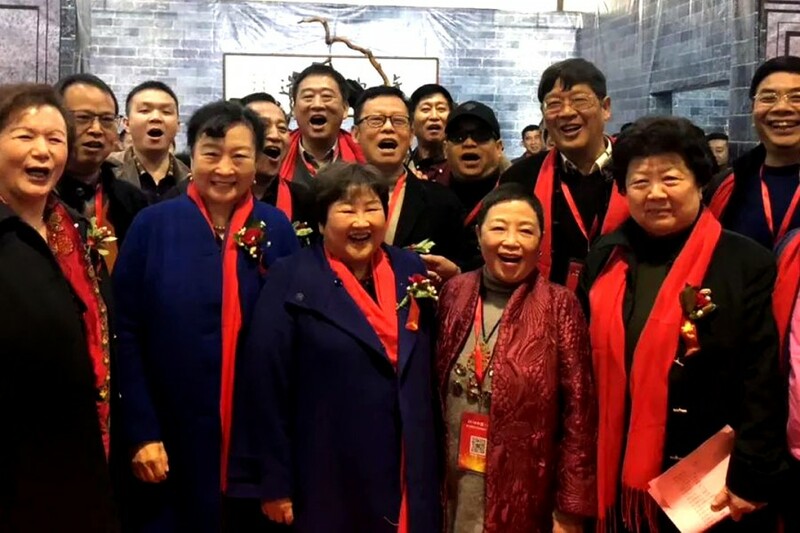 Ms. Shou Jiahua, former deputy minister of land and resources and president of China Viewing Stone Association, push the viewing stone develop towards industrialization in 2007. After years of hard work and popularization, the viewing stone art was approved by the State Council of the People's Republic of China to be included in the fourth batch of national intangible cultural heritage in November 2014. In the national standard of viewing stone appraisal officially implemented in 2015, it is clearly defined that the viewing stone is a naturally formed and collectable stones. It has viewing value, collection value, economic value, and scientific value. The history of viewing stone play is already there. There are many kinds of literature and paintings to show love it by the royal families and officials because their content of the viewing stone can also be described as "glamour, and colorful." The four ancient viewing stones in ancient China are Lingbi stone, Taihu stone, Kun stone, and Yingde stone. Lingbi stone is ranked first among the four types of famous Chinese scholar’s rocks, are found in the Lingbi county of Anhui Province, China. They are fine-grained, delicately textured limestone and lie deep in the red mud of the Qingshi mountains. Naturally shaped, they need no cutting or carving. Depleted after generations of mining, high-quality Lingbis are now quite rare. Their mineral composition is such that they produce a metallic, resonant sound when tapped. Hence they are also called ‘resonant rocks’ (bayinshi). They were sometimes used for making chimes and are thus also known as ‘chime rocks’. Lingbi rocks are beautiful and clear-cut, with a frame of soft lines. Combining masculine beauty with antique simplicity, Lingbi rocks have been admired by connoisseurs for centuries. In the Qing dynasty, Emperor Qianlong believed it was the best collection in the stone. Taihu stone is found mostly in the vast drainage areas of Tai Lake, these limestone Taihu rocks are hard but brittle, with slight variations among those taken from lake beds and those extracted on land or from different districts in the surrounding environs. Those formed underwater are more precious, because of their fresh, soft color and their multiple, linked perforations produced from years of wave and water erosion. With their pale gray or ivory tint, Taihu rocks are usually large and are regarded as the best garden rocks. Artificial hills made of Taihu rocks give the appearance of strange peaks looming up or chains of hills connected by streams and bridges, with successive peaks along narrow, twisted paths. Small Taihu stones of good quality are rare and meant for indoor appreciation. The beauty of Taihu rocks comes from their thinness and wrinkles as well as their perforations and hollows which enhance their open appearance. Kun stones are beautiful, delicate, fragile white stones that are not commonly seen in markets today despite having been prized for nearly 1,000 years in China. The Kun stones consist of a complex assemblage of quartz druses that must be carefully cleaned to expose their delicate structure and white color. Kun stones are one of the oldest types to be collected and appreciated for their beauty and interest in China. Ying stone is traditionally produced in Yingde, Guangdong province and in Guanxi province, Ying rocks are limestone with calcite deposits. Less hard than Lingbi, they are often full of furrows with twisted lines on intricately textured surfaces. Notable for their diverse shaped, they appear to embody a thousand hills and valleys, and so are well-suited for representing a far distant landscape. Their typical thin, wrinkled appearance often exhibits traces of sawing and cutting with distinguishable front and reverse sides. In April 2006, the former AQSIQ approved the implementation of the protection of geographical indication products for “Yingshi”. In addition, there are five precious stones in China: Shoushan Stone, Qingtian Stone, chicken bloodstone, Guanglu Stone, and Balin Stone. In the past 30 years, the category of viewing stone has expanded to more items. Such as styling stone, which are mainly based on the shape, or graphic stones is like a landscape painting. And rare mineral crystals and biological fossils have also been included in the list of stone collections. There are stalactites, Chaohu stone, Fengli stone, grape agate stone, Shanxia stone, Yuhua stone, Jiulongbi stone, Caitao stone, Changjiang stone, Huanghe stone, Juhua stone, Dahua stone, Lushan green stone, Sanjiang colored stone, Lvni stone, Dali stone, Linyi color stone, Caohua stone, Nishan stone, Hongsi stone, pyrophyllite stone, siliconized wood stone, meteorite, cinnabar, stibnite, topaz, fluorite, malachite, crystal, coral fossils, ammonoidea, trilobite fossils, insect fossils, fish fossils, etc. 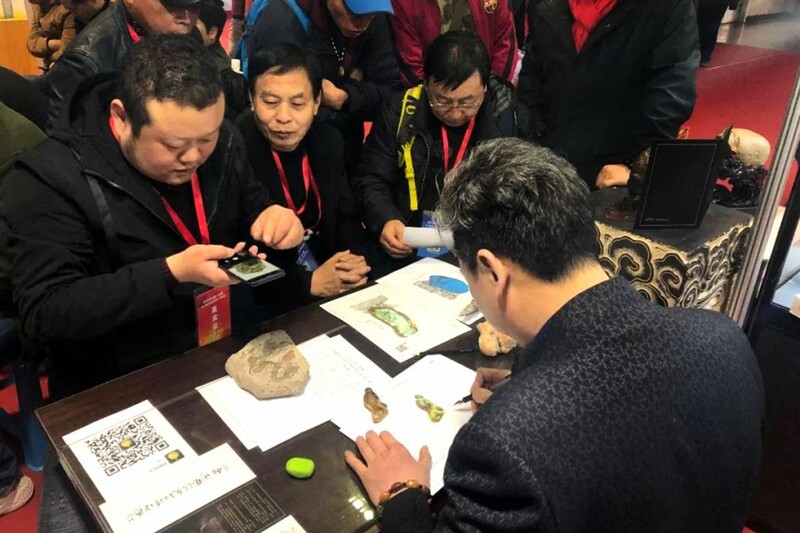 The 2019 China Taiyuan Viewing Stone Culture and Related Industry Exhibition was hosted by the China Stone Association and the Shanxi Viewing Stone Association. 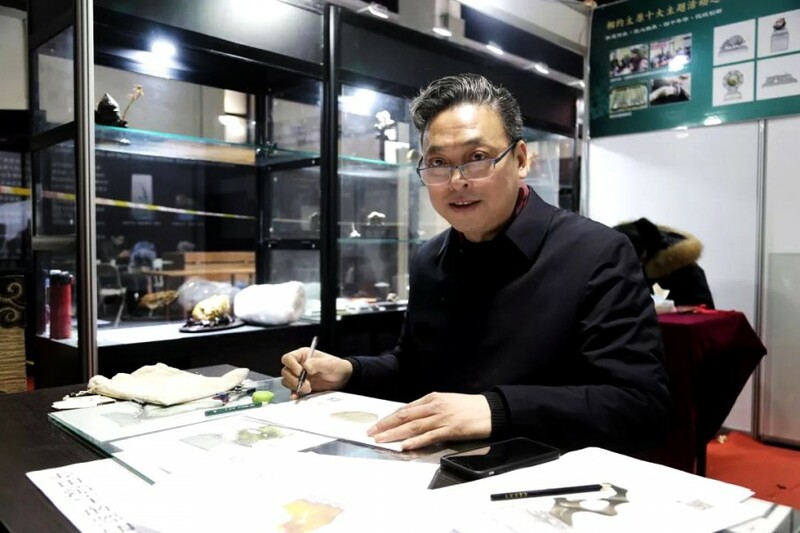 There are not only a variety of types of viewing stones, but also the China Viewing Stone Association has conducted six professional lectures about the viewing stone. For example. Mr. Wen Dekun, who is vice president of China Viewing Stone Association, "Promoting the Culture of Stones", Mr. Jing Men's "Appreciation of Chenlu stone", and Mr. Cheng Song's "Five features in Small Classic Viewing Stone (Xiaopin)” and so on. More highlights are Mr. Guan Bingchun's "The Stone and Miniature Calligraphy", Mr. Cao Yi's "The Viewing Stones and Rubbings", and Mr. Chen Shihong's "The Viewing Stones and Wooden Sculptures", etc. These combine a variety of art with the viewing stone such as calligraphy, rubbings, and wood carvings, and adding to the unique charm of viewing stone. More than that, there are more industries related products with the viewing stone, such as landscape bonsai, Thuja wood, Purple clay teapot, photography, and paintings, so that the viewing stone art can be classically elegant, or be a new fashion. The exhibition is wonderful. 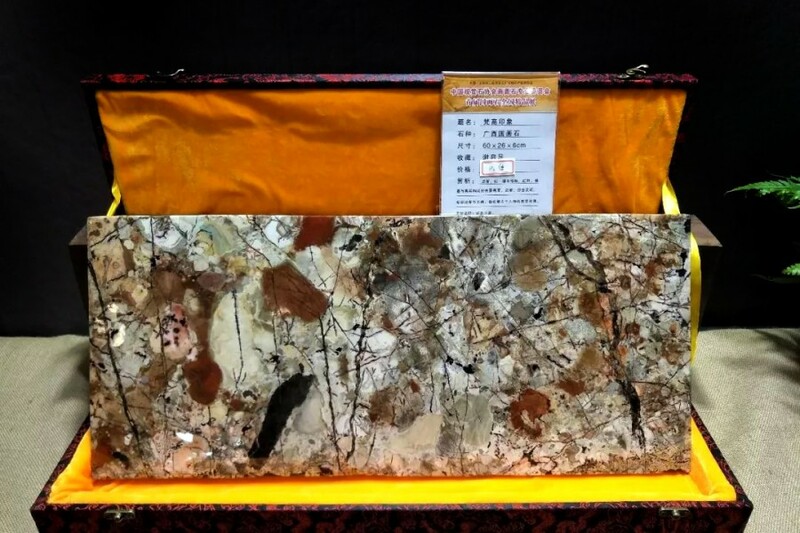 For the collectors of viewing stone, we thought the biggest gain should be getting a free design for the viewing stone wooden base by Mr. Chen Shihong, who is the inheritor of the intangible cultural heritage of Shanghai intangible cultural heritage. It a public service on the lasted for 3 working days. Mr. Chen designed 76 drawings of stone wooden base. Many collectors from 26 Provinces carrying their viewing stone meet Mr. Chen. "The precious stones are amazing treasures." Stone is a normal thing that abandoned in the wilderness f millions of years. The artists, collectors, and connoisseurs give these stones to the meaning of life. It's precise because of people's choice and cultural elaboration that the stone is turned into magic art. We have always believed in the spirit and essence of art, it lies in —— human creativity and imagination, which their understanding and perception to make the stones reborn, and become the art. The wooden pedestal skills of viewing stone are undoubtedly better to set off the artistic characteristics of the viewing stones, and excavated the outstanding stones. The art of viewing stone mainly represents the way outside the essence —— the spiritual qualities of stones. What are the spiritual qualities of stones? The best evaluation of an artist is —— Like a stone, strong and persistent. To a collector should be —— "The virtuous find pleasure in hills". Master Confucius said, "The wise find pleasure in water; the virtuous find pleasure in hills. The wise are active; the virtuous are tranquil. The wise are joyful; the virtuous are long-lived." The benevolent people love the mountain because the mountains are calm, stable, tolerant and generous, it's not to be shaken by any things. Standing on the top heights, so they can see more depth and more far away. The way to collectors and artists may be lonely, but it is a broad and profound in their mind that rich and generous inner world. "Do not impose on others what you yourself do not desire." Respect different art forms, and treat each artwork equally. It is the "spiritual qualities" of collectors. Throughout the exhibition, it is really an important breakthrough in the art form of viewing stone. We quite agree with a contemporary Chinese art critic, and Western art history researcher Mr. Wang Duanting said, "If art becomes a course means that it is old and outdated because art must be constantly innovating and changing. " Only by explore, discover, and then break through, the art of viewing stone would be showing more breadth and depth. In this fair, we are very clear to saw the art of viewing stone is diversified and blends with more art forms. Finally, we also obtained some transaction data of sold in this time of viewing stone exhibition. 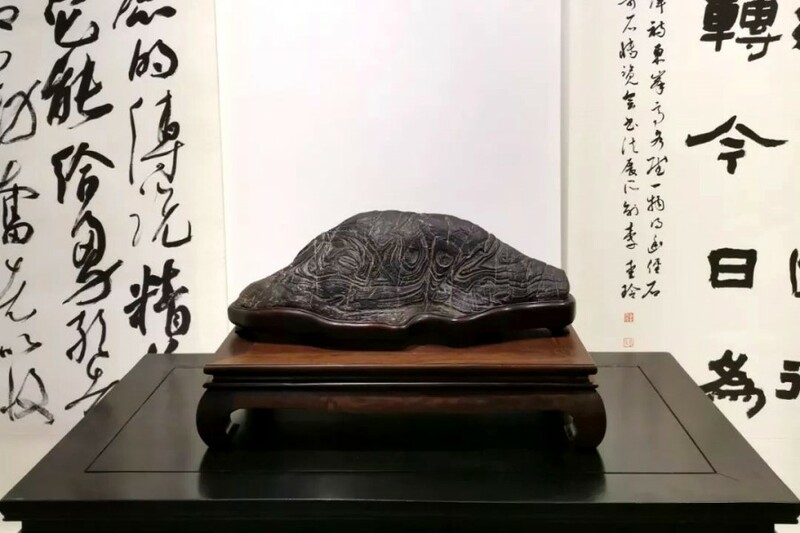 Before the opening, there were two Lingbi stone was sold in 1.58 million yuan, a Guangxi Chinese Painting Stone "Van Gogh Impression" was sold 190,000 yuan, the stone was purchased by Mr. Chen Hongbin, who is the Secretary-General of China Viewing Stone Appreciation and the owner of the Wuxing Zhai; a "double-sided head" viewing stone was sold for 168,000; a Yangtze River stone "The Soul of the Army" was sold by 810,000 yuan, a Lingbi stone "Enlightenment" was collected for 2.8 million yuan. Furthermore, a small auction event was totally sold several viewing stones gain 1.89 million yuan, which was considered to be the successful ending of this exhibition. * By OGP, OhGoodParty.com Business Reporters / Shanghai Viewing Stone Collectors’ Association , and Mr. Chen Shihong Provides File Photos.